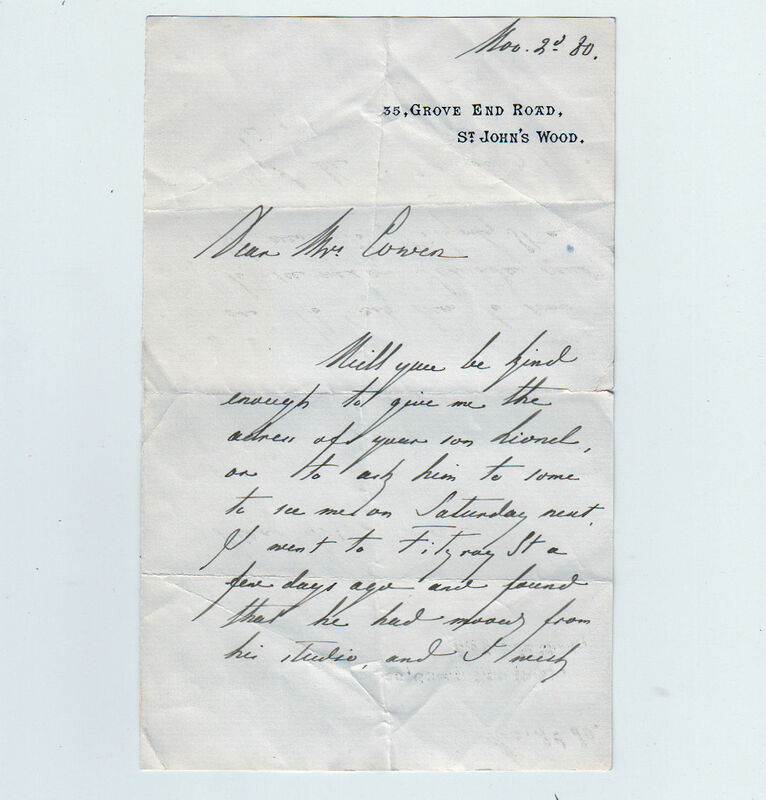 Autograph Letter Signed, to Mrs. Cowen, asking for the current address of her son Lionel, who has moved from his studio in Fitzroy Street. 2 pp. 7 x 4 inches, a few minor blemishes only. 35 Grove End Road, 2 November 1880. Carl Schloesser (1832-1914), German painter.